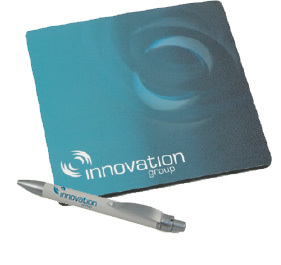 Innovation group is a public company who has become one of the leading solution providers to the global insurance industry through the development of a flexible combination of specialised business process outsourcing, supply chain management and technology solutions. innovation’s partnerships give clients proven, leading-edge technology, world-class insurance expertise and global delivery capabilities. through their work with major global brands they have achieved an impressive track record of turning business strategy into operational reality. 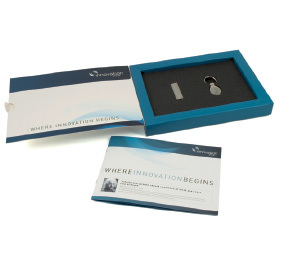 Innovation was at a point in its development where they were ready to embark on a structured, ‘market-wide’ marketing communications strategy. 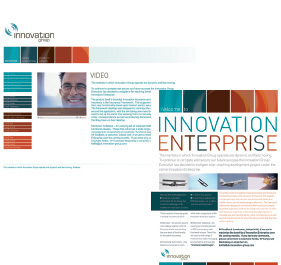 The objectives outlined by innovation were firstly to put in place a coherent communication strategy designed to promote innovation group to its chosen markets using a suitable tactical mix of channels / messaging. the challenge was to establish the innovation group brand as the ‘brand of choice’ for BPO in its chosen markets, generating tangible BPO sales opportunities for the UK region business units as a consequence of activity. finally to achieve this through a set of consistent messages to the defined target market(s) incorporating the tone/ethos of the corporate identity and its ‘brand pillar’ attributes. 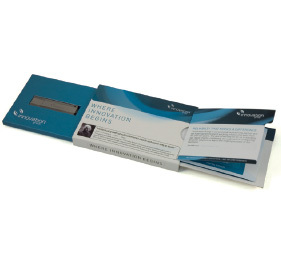 Included in the brief was the need to produce marketing collateral including a corporate brochure, product / service focused flyers and other materials that would support the communication plan. 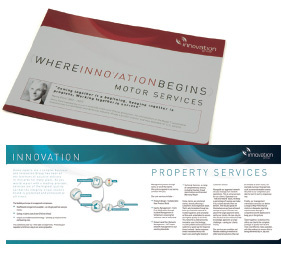 Following a successful pitch to win the project Magellan’s creative team developed a series of campaign concepts with the intention of developing a consistent look and feel to the marketing materials. 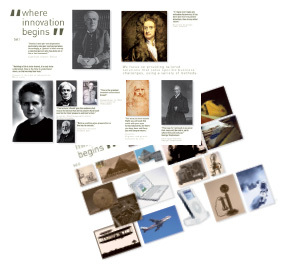 the concepts focused on the overall objectives that innovation were looking to achieve and reflected the innovation brand. 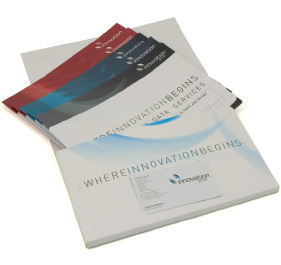 Once the concept was tweaked and finalised Magellan provided copy writing services in order to pull together a cohesive corporate brochure detailing innovation’s products and services as well as an overview of the company. from this individual information flyers were produced for each division. 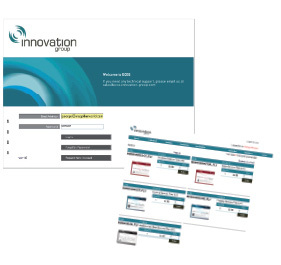 Innovation also implemented our innovative and award nominated ECOS system (electronic collateral ordering system) which is designed to give a single source solution to our clients. this eStore is used as central repository for all stationery, marketing collateral, training materials and promotional merchandise. 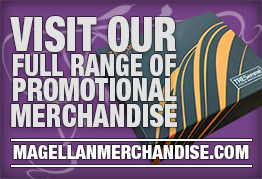 Magellan manufacture and procure all the packaging, stationery, marketing collateral and promotional materials available within this store, whilst also managing inventory levels, customer service support, shipping, returns and provision of customised reporting. Since the account started we have become involved in several spin off projects including web design, and most recently the implementation of our revolutionary delivery system ‘Foldermail’ - allowing innovation to send interactive newsletters, videos and much more without any file size constraints thereby providing them with a new channel for communicating to their internal audience and with the scope to broadcast directly to their customers.